Calling out to the fans of the Paper Shelter images! It's time for a new dt-call here at the Shelter. We are looking for a few new team members that will join us for the coming 6 months. 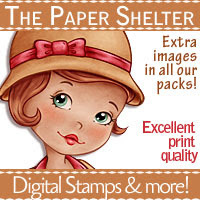 We have a warm, loving and helpful team that loves to create with the wonderful images provided by The Paper Shelter. And we hope that you want to be a part of that! What you need to do to take part in the call is found here and all the info and then some about how we work is found here. Please do read it as it answer the most of your questions. The DT call will run from today, 11th of March till 20th of March, midnight UK time. So you will have about 10 days to apply to the team. One entry per applicants only. We will find our way around your blog so no need to post a lot of entries here. Also please write DT after your application in the inlinkz. BUT ALL ENTRIES THAT DOES NOT HAVE "DT" WRITTEN AFTER IT'S NAME WILL BE DELETED. Please note that it takes up a lot of time to run a DT call so it's up to you to make sure that you are entering the right link, either for the DT call or the challenge or both. (If you wish to enter the DT-call and our challenge you need to link at both places). If you by any reason forget the DT after your name, leave a comment and I fix it for you if you can't do it yourself. This will be checked at least once per day and those that is incorrect will be removed. We are a digital company and want to see what you can do with your digital images and papers. (It's not necessary to use digital papers in the call, only digital image). Of course we'll be looking at your creations with stamped images as well, but we want a short cut to the digital ones. You also need to be able to communicate in English as it's the only language we use on the DT blog. Our new term starts of 1st of April 2015 and will last until the end of September 2015. You are of course required to be able to start working with us right away. · As we are a digital company and work with digital images you need to use a digi for your application. It doesn't have to be new, and it doesn't even have to be a TPS image, but we do would love to see you use them. Your colouring skills needs to be really good, and that is one of the main things we are looking for when we pick our new members. We are looking for high quality crafters of all kind. We are also looking at your photos as they need to be good enough to show of your work really well. Do show your style in your creation. We want to see your style of crafting being it vintage, CAS, colourful, pastels etc. You can apply with any kind of project you want to card, LO, altered project etc but it does have to have a digital image on it that you have coloured yourself. 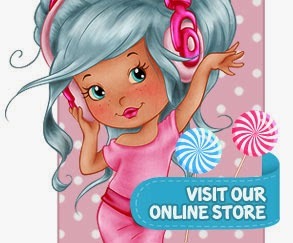 Make sure there is come way we can get the hold of your e-mail address on your blog. Would hate not being able to contact you if you are one of the chosen ones. If we can’t contact you, we will go for another designer. (We will NOT leave a comment telling you that you are one of the lucky ones or that we want you to contact us. Google+ and other medias is not accepted either). You don't have to use a new card to apply to our team. However, your crafting skills changes more than you know. So a card or other creation that you made a few months back, might not represent who you are at this point. Therefore I recommend that you use a "fresh" card, not older than maybe two months. And remember YOU HAVE TO USE A DIGITAL IMAGE. I will delete any creation that has a stamped main image. You do need to have a blog on your own and post regular on it. What we expect from you in return you find over HERE. Please read it carefully. We have a very long text for our dt-calls to mimimize the questions and you know right away what the deal is to be a part of our team. 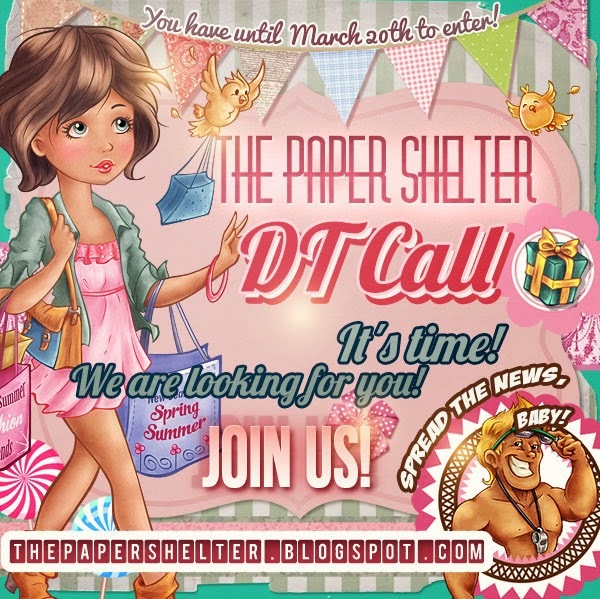 We are looking forward to see your entries for our DT call, please tell your friends about it on you own blog, and do please take tell your friends about it too. See you around! Oops, I did not scroll down far enough before I clicked! Please remove my name from the DT applicants! I did add my card for the challenge. Good luck to those who are applying! Thank you so much for the chance to be on your team and work with your gorgeous images. So many wonderful entries! I don't envy you the job of going through them. =) Good luck to everyone! Challenge #195 - "Spring Delights"
Challenge #193 - "Away with the Fairies"